On May 29, actions for the freedom of Puerto Rican political prisoner Oscar López Rivera were carried out in Puerto Rico and in other places around the world. May 29 marked the 33rd anniversary of López’s arrest. That day completed a walk around the island, called “National Walk 33 in 33 for Oscar,” which had toured 33 villages over 33 days. It had started in Gurabo on April 27. The walk’s purpose was to educate people about the case and the ideology of the struggle of the oldest political prisoner of Puerto Rico, in places where the fewest people know the case. In this way participants won support among new sectors of the population for the release of Oscar López. Some mayors and municipal councils also joined this important cause, even writing official statements of solidarity. Each village had its own hosting and organizing committee, which was in charge of helping to develop the educational, artistic/cultural and logistical agendas. In addition to local artists, very popular musical artists, such as Danny Rivera, Tito Auger, Andy Montañez, Chavela Rodriguez, among others, participated on the national level. The walk ended in front of the Federal Court in Hato Rey, which had urged the Obama administration to order the immediate release of López Rivera. Groups of friends and supporters of the struggle for the release of Oscar López Rivera, including the Human Rights Committee of Puerto Rico, organized the event. López Rivera was never charged, much less convicted of any violent acts; the only reason for his imprisonment was his struggle for independence of the island. He was charged with “seditious conspiracy,” the same grounds for which Nelson Mandela was imprisoned. It is to right this injustice that many voices on the island, holding different ideologies, including some who oppose independence, are nevertheless calling for his release as his imprisonment is a violation of human rights. A recent example of this was the adoption of a resolution of solidarity and support for his release by the Puerto Rican Senate on May 29. The walk was just another chapter in the growing movement that has been building in Puerto Rico for Oscar López. The most diverse and creative forms of struggle have increased the prominence of this cry for liberation. On the final Sunday of every month, a group of women demonstrate on the Dos Hermanos Bridge in the north of the island. Also recently, under the slogan “To the sea for Oscar,” dozens of vessels sailed the waters of the Bay of San Juan led by a boat with a person “dressed as Oscar,” who then disembarked and walked through the streets of Old San Juan, holding the hands of Lopez’s only daughter, Clarissa López, and of Karina Ramos López Valentín, the prisoner’s granddaughter. 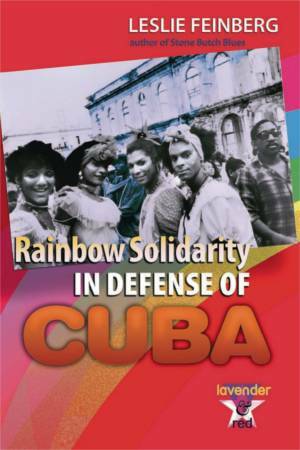 The voices for liberation are also heard internationally, from governments to social and labor organizations. 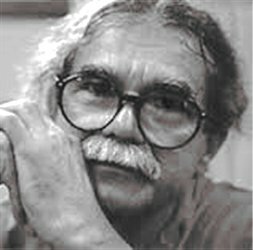 In Cuba, Venezuela, Barbados, Argentina, Colombia, Paraguay and elsewhere, people have held events demanding the release of Oscar López Rivera. People in several U.S. cities also held events on May 29, including Chicago, New York and Philadelphia.